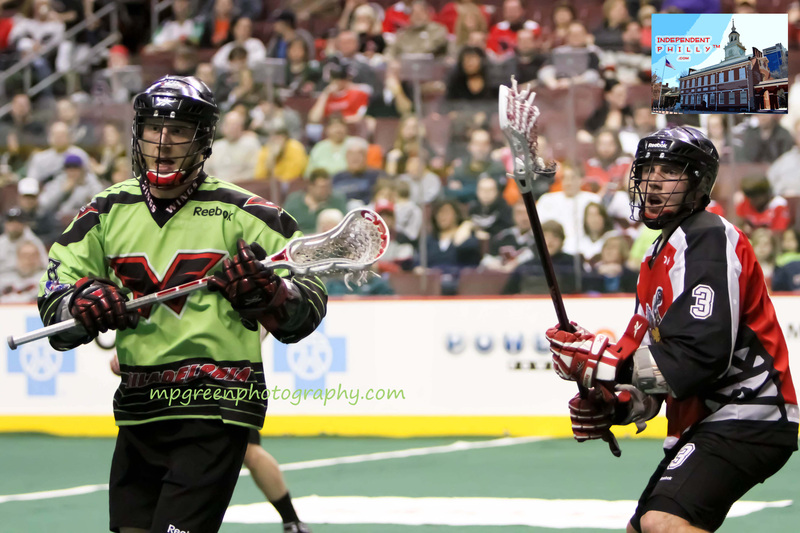 On Saturday night at the Wells Fargo Center, the Philadelphia Wings took on the Calgary Roughnecks in National Lacrosse League action. 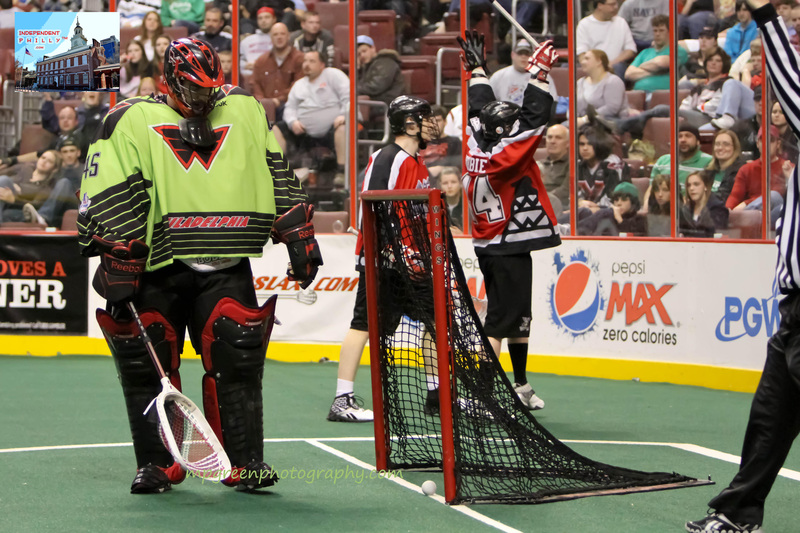 The Wings and all-star goalie Brandon Miller were outmatched in the contest as the Roughnecks forced several turnovers and out-shot the Wings (taking 15 more shots). Eventually, Miller had to be pulled after allowing 7 straight goals. 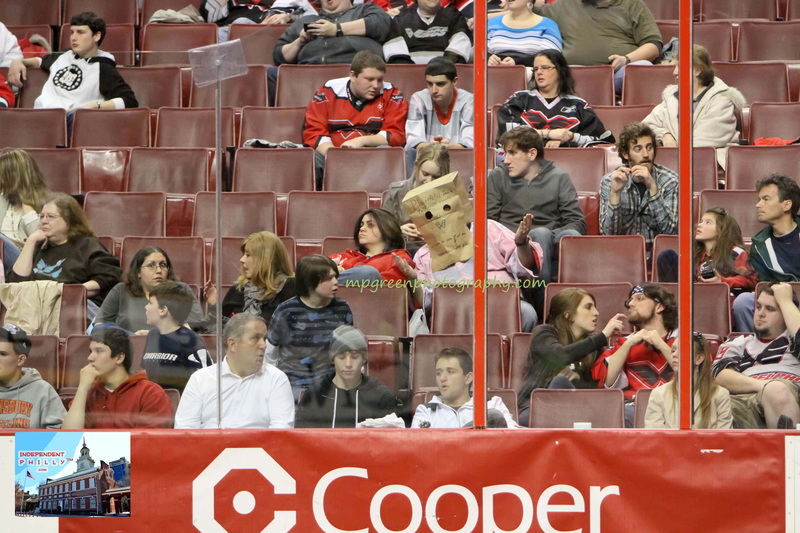 Although the team rallied after the goalie switch, they still lost by a 13-7 tally. The Wings scoring was led by Brendan Mundorf and Alex Turner who managed two goals apiece. 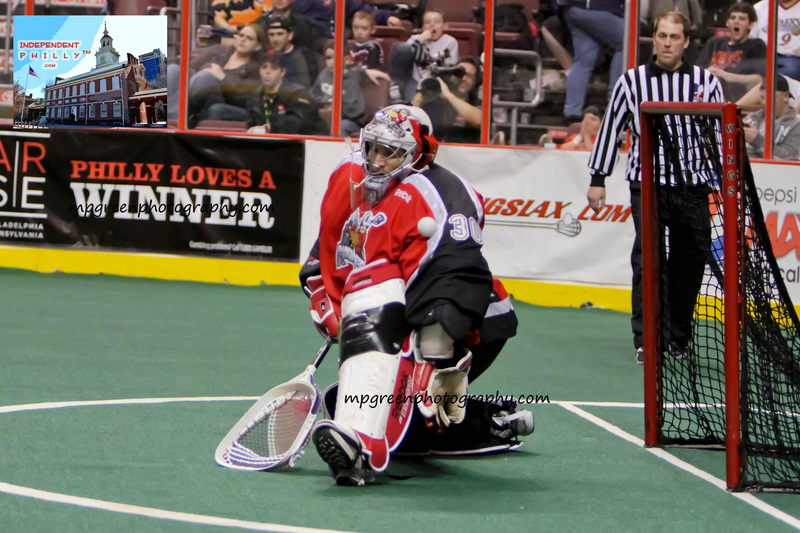 With the win, the Roughnecks still sit atop the Western division. In losing, the Wings (who have a record six N.L.L. titles) remain mired in last place in the East. 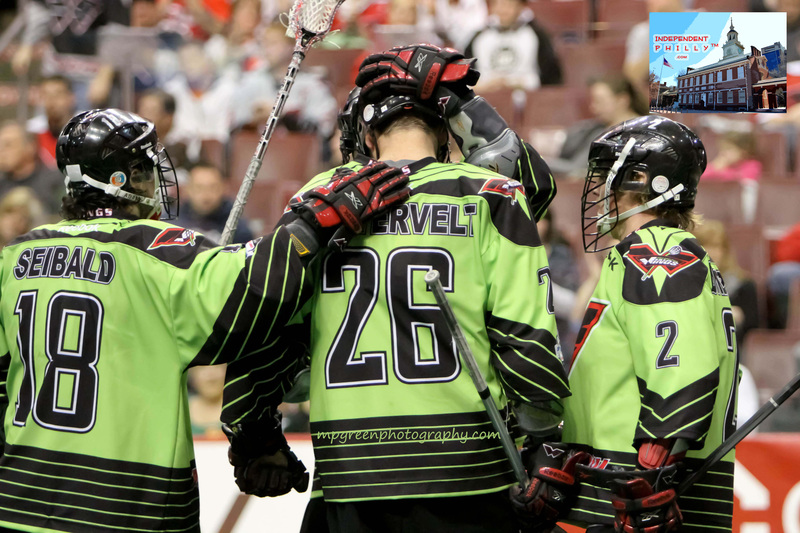 The Wings wore special green jerseys during the game which were then auctioned off post-game to benefit the HEADstrong Foundation. The Wings have two home games left this season. The next takes place April 2nd against the Toronto Rock. You can win tickets to the game (or get a great deal on seats) on our CONTESTS PAGE.